I'm working on a few new mint garters today, so mint seemed like the perfect option for this week's wedding inspiration board! Enjoy! Wishing you all a wonderful Wedding Wednesday! Mint is gorgeous! 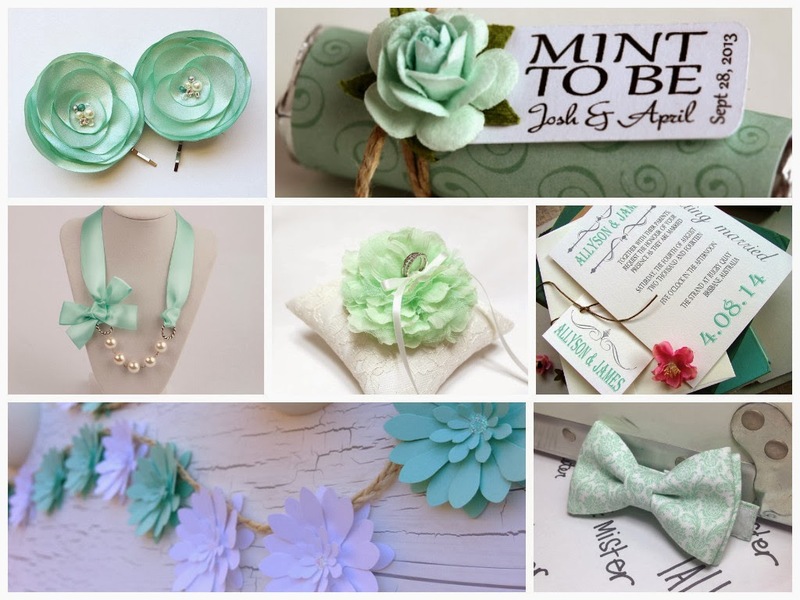 Perhaps I should create a mint bouquet to match! Happy Thanksgiving from Sugarplum Garters!